Rubedo, open source CMS & Ecommerce with Behavioral targeting. Rubedo is an open source content management system. This professional website building tool offers a complete range of features for all users: personalization & targeting, content management, digital assets management, multi-site, cross-platform, SEO, responsive web design, geolocation, multilingual. Rubedo is a multisite Web content management solution (multiple websites). A configuration wizard support the easy creation of new websites in Rubedo back-end. All the sites can be managed through the same instance of Rubedo. Only one Rubedo plaftorm is necessary to manage several websites. Thanks to this multisite feature, administration of websites is centralized, while their daily management can be delegated to functional administrators. This is a multi-admin mode. Right management lets each administrator or webmaster manage his own site only. According to need, these elements can be shared between the websites, or restricted to a specific website. Rubedo website creation tools allow you to build easily websites and e-commerce websites. Imagine, create and transform your websites, pages, content and users without development. Real-time personalization with marketing automation management tool. 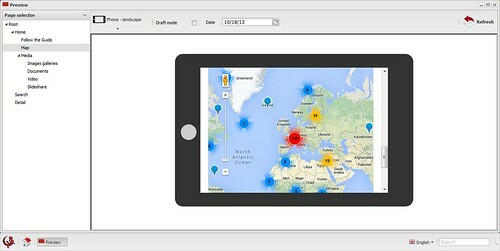 Events Tracking: behavioral analysis tools. 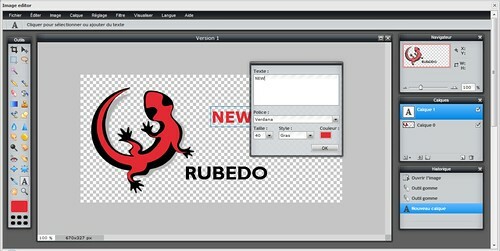 Rubedo Philters are automation tools to customize the display of a site based on actions performed by a user. New blocks can easily be displayed to users based on rules you define. Personalizing a website to fit the needs of Web users allows to create customer loyalty and increase the sells. Rubedo Magic Queries analyse the Web users' behavior to propose them a unique user experience. The key to Rubedo Content Targeting success is to automatically combine visitor browsing information (whether he is logged in or not) with web contents, rather than defining customer segments . From product catalogs development to order management, Rubedo Commerce provides a complete solution for your online shop. In pair with personalization, you will convert your prospects into customers by proposing the right product to the right person. The administration interface of Rubedo (Back-end) is shaped like a virtual desktop. It allows for customization of the working environment and access to different administration, web mastering and content management applications through a startup menu. User access to these applications is determined by right and roles. In order to make work easier for contributors, creation and editing features are also available from the front-office (inline editing). Rubedo allows for effortless creation of new content types (articles, news, events, etc.) without requiring any technical knowledge. This enables flexible definition of parameters for contributors and validators: choice of fields (rich text editor, date, number, evaluation, geolocated address, internal or external digital assets), choice of workflow, taxonomy, rights. Rubedo can manage multiple multilingual websites, offering over 50 languages. Each website can have its own languages and use a different localization strategy. Rubedo offer DAM - Digital Asset Management for video, image and document. You can edit your images online with the editor. In order to meet the expectations of users, cross-platform internet and intranet websites have become a necessity. Rubedo natively creates websites that automatically adapt to the screen size of the device they are being displayed on. With the help of simple checkboxes an administrator can define which elements display on desktops, tablets or smartphones. The Preview application allows you to view the display of pages on different display devices at a given date. Rubedo's Preview is a real device simulation. The open source search and indexing engine Elasticsearch is built into Rubedo CMS. It stands out by its open model knows as documentary or NoSQL which allows for versatile indexing of varied data and by its ability to perform real time indexing on large amounts of data without loss of search performance. Content types (and media) created with Rubedo are instantly declared to the indexing engine and contents are indexed in real time. This makes contents searchable for users as soon as they are published. Taking advantage of the search capabilities of Elasticsearch, Rubedo natively offers a facet-based search interface. Facets provide automatic refining to the full text search by filtering results using their author, content type, publication date and also classifaction. The indexing library provides file parsers for the most common file types (doc, xls, ppt, xml, openoffice, pdf, html, txt, …) in order to enable text search on the content of such files. Designed to manage Big Data, Rubedo uses a NoSQL database (MongoDB) to deal with high volume data feeds. Access High Performance, Availability and Scalability on commodity hardware while taking advantage of flexibility in data modeling.